A Rockman pachislot game has been rumored for years and today it's come to fruition. Developed by Spiky (their site is a little on the NSFW-side), Rockman Ability is a pachislot machine that's slated to release this September exclusively in Japan. Although that's the gist of the announcement, an individual under the name G3_777 – who is largely associated with amusement games – managed to find and post some artwork from the game on Twitter. One of the images is above; the other can be seen here or after the jump below. More news on Rockman Ability as it comes! Thanks to Reploid20XX for the tip! It's like bridge from EXE and Classic. I dig this new design. I gotta say, this new art style looks interesting with its sleek design. It reminds me about what someone said about Battle Network's design: Specifically how Protman's was how Classic Proto Man and Zero put together would look like. Now, to me at least, this feels like a fusion of Battle Network and Starforce with a hint of Tron added, even thought Battle Network's was going with the Tron look already. 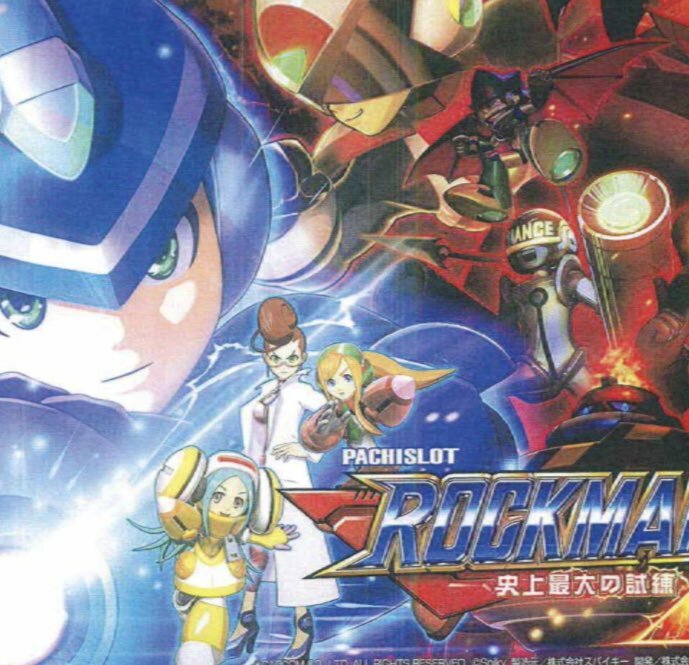 More like Rockman disability (at least to play) amiright? That Protoman Zero looking dude looks like every character ever... Burai, Bass, 3 different Zeros and 2 Protomans, Yu-Gi-OH the works. That guy has too much going on. I'd replace Yu-Gi-Oh (even tho it was a joke) with Axl (because his hair seems to fan out and seems short) and Over-1 (the helmet shape, shoulder pads). Megaman's design is nice, and the doctor is okay, but everything else looks a bit too bland. Looks like a typical Japanese robo-anime with a bit of reference to BN/SF. Personally want something on the front of Protoman's helmet, looks a bit unbalanced. Looking at this and Fully Charged, looks like Capcom is letting other companies have "fun" and make their "original" version of Megaman. I guess that's their current strategy for survival? It looks like the subtitle is "The Greatest Test in History"
OH BOY!!! THE MEGA MAN GAME I'VE ALWAYS WANTED!!! And the last boss.........Dr. Konami!! I'm glad they're not afraid to shell out ultra-flashy designs for outings like this, almost as much as I am that they waited long after MM11's announcement to reveal it. Otherwise it would've been slaughtered. 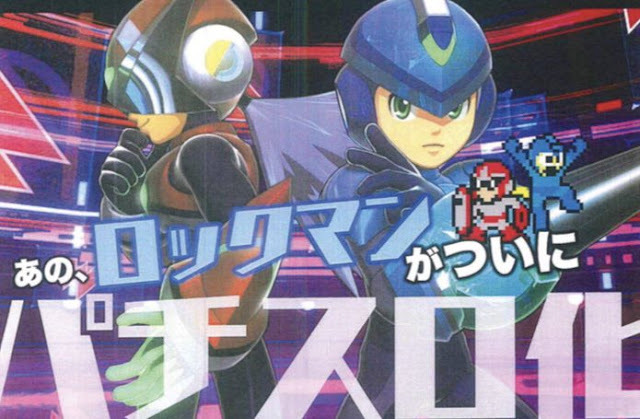 I hate how these designs on first look are a decent bit better than Mega Man: Fully Charged's designs. Is it insane that I actually wonder how much it would cost to get one of these machines? At first I saw those designs and thought there was another game coming after 11. But then I saw patchieslot. F my life.